When I contemplate a month of holidays I am so certain I will be in the kitchen cooking up amazing meals. I regret to say it definitely did not happen over January. We were busy. It was hot. I was relaxing. Dinner is nothing that a tub of hummus can't solve. 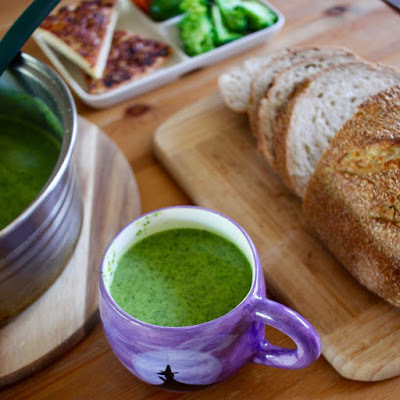 And so I bring you this easy kale and soup with some holiday snaps and some random notes. I love soup. In any weather. So one January summer night, in need of using up some kale, I made this soup. It was the perfect meal for someone with only limited holiday energy who needs something simple and healthy. It was meant to be an accompaniment to some very sour sourdough I bought but was a bit more grassy than creamy because I just used my hand held blender. I had a really nice time catching up with some uni friends, Jane and Alison in Warrigal. 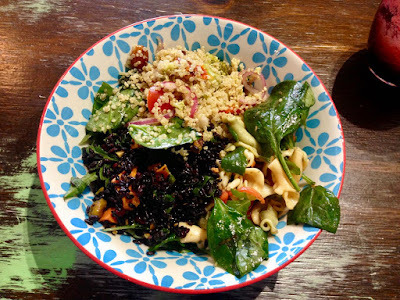 This plate of salads from Earth Market cafe wasn't the most perfect but it was healthy, satisfying and much better food than I ever expect in the country. I took this photo of signal box art after catching up with my baby sister in Geelong at Sticks and Grace in Pako Street. Sylvia was at a playdate so we had a rare one on one which was really nice. 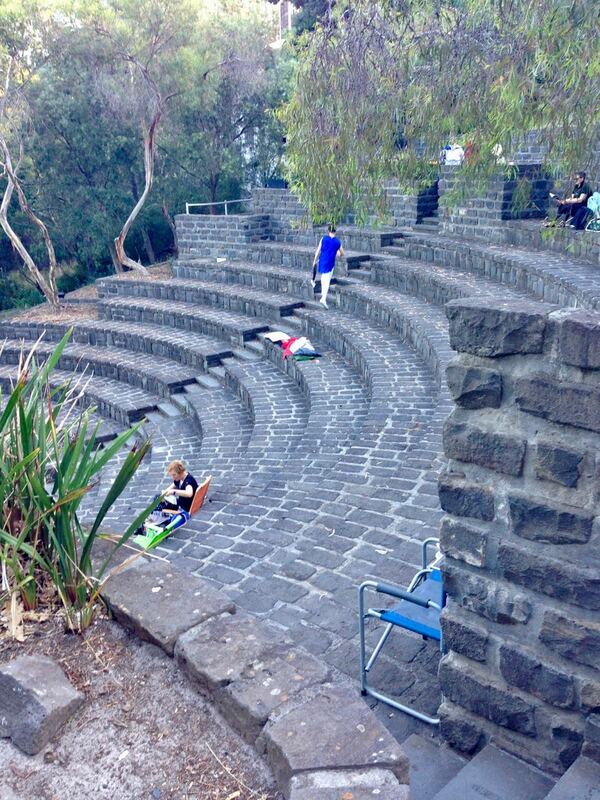 I went with my dad, sister and nieces to see Romeo and Juliet at the Fairfield Ampitheatre. Good to see some amateur theatre. Lovely to sit outside on a balmy summers evening eating chocolate cake and cherries while watching the theatre. 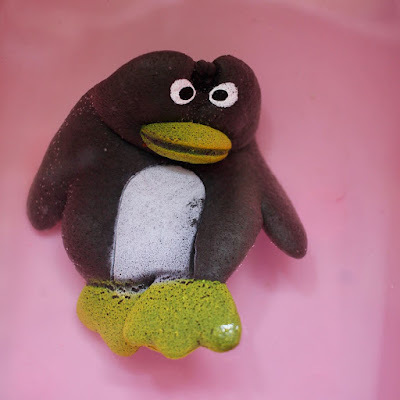 Sylvia bought this Grow-Your-Own-Penguin with her own money. It looked pretty evil. That's what happens when you let your penguin grow in an Oreo cup. But not quite as bad as a dentist check up. Less disturbing ways to entertain her included a trip to Latitude rock climbing and trampolining centre, sleepovers and swimming. Yet again we didn't celebrate Australia Day. I would have liked to go on the Indigenous protest march but wasn't organised enough. We happened to be eating lunch in Lord of the Fries as it passed on Swanston Street. 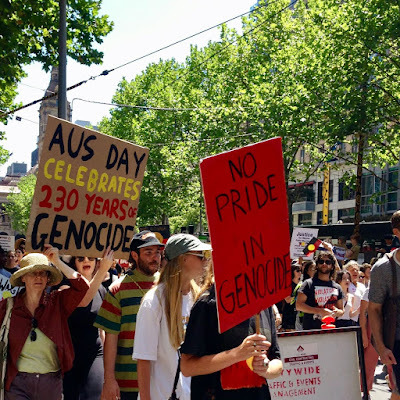 It was about 30 minutes of watching the parade and listening to people chant slogans like No pride in genocide. As this was all I saw, it really felt momentous but we watched the news that night and they made it feel less important. I really love having the time to go swimming on the holiday. Visiting beaches and the local pool. Makes me realise I need to make more time for swimming. Everything is better when we go swimming. Even if it is too cold to go in the beach which happened a few times over summer. I was recently told that if people eat lots of turmeric, it has been found that their brains are slightly yellow. A colleague picked up whooping cough in China and took the plane home with a tickle in his throat before it was diagnoses. Doesn't that make you shudder about long haul plane trips! 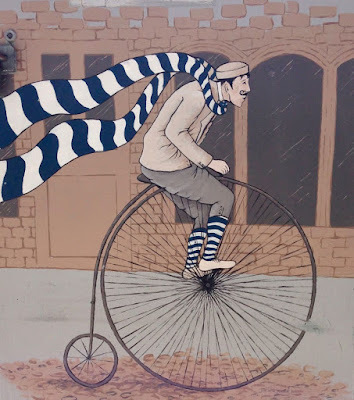 A quick rant about crazy politics - ignoring extreme climates (we had a massive thunderstorm and 2 hour power cut this week), Brexit is a mess, I can't believe how Trump has used public servants' salaries as pawns, and now the Banking Royal Commission is responding to all the bad stuff banks have done by punishing mortgage brokers. If I had a choice, it would be a no brainer that I would trust my mortgage broker over my bank. We put out about 5 bags of Sylvia's old clothes and a few toys after a big clean out in her room. It is not that I suddenly got into the Marie Kondo decluttering. We still have clutter but with kids growing out of clothes and toys, it is necessary to do a cull regularly. We gave away some stuff to family and put the rest in the op shops (charity shops). I had been worried the op shops would not take our stuff because they apparently are inundated due to the Kondo craze but they did. Phew! But then I felt guilty anyway because I have been reading that some of the op shop clothes goes to landfill. One of my little victories of the holidays was to have a parking fine withdrawn. The Council sent a fine for parking illegally at an address I had never been and when I provided documents to show I wasn't there, they said just pay anyway. So I appealed again to express my outrage that they had ignored their mistake and never apologised. They dropped the fine. No apology of course. The Council acts as if people who park in the wrong places are the only ones that ever make mistakes. How digital natives think. Sylvia told me that the internet was around before travel agents. When I asked how people bought houses she told me, on the internet! I am sending this to Eat Your Greens being hosted by VegHog. Heat olive oil in a large saucepan and cook onion, garlic and potato for 5 minutes over medium heat. Add water and stock powder, pinch each of salt and pepper and bring to the boil. Simmer for about 10 minutes. 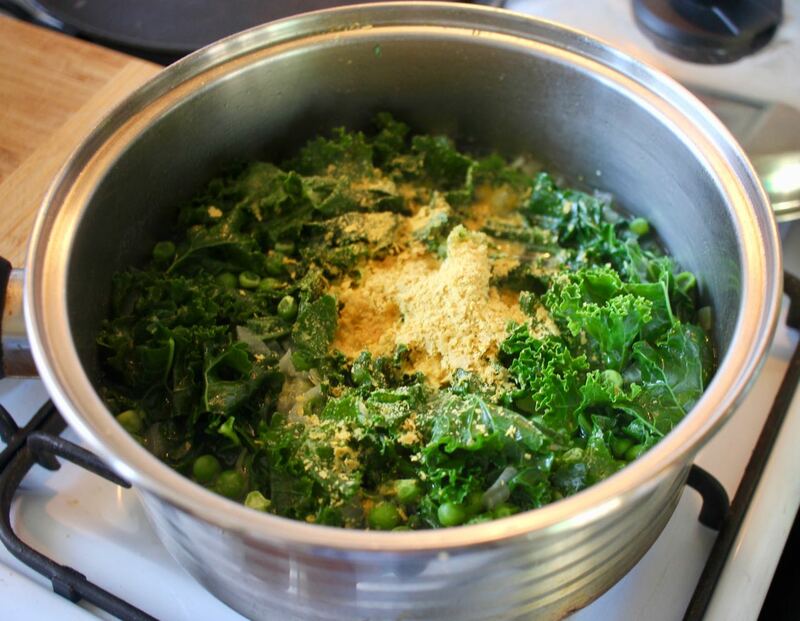 Add kale, peas and cook a further few minutes. Stir in milk, nutritional yeast flakes and vinegar. Blend. So funny to see Sylvia Grow-Your-Own-Penguin, I remember when my nephews and nieces went mad about hatching dinosaur eggs! 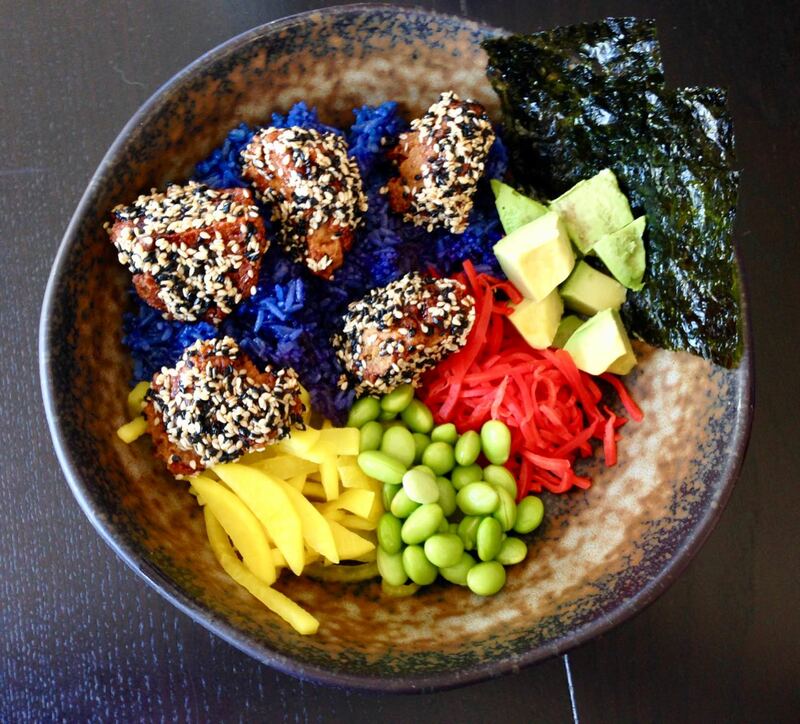 What a pretty salad bow and blue rice. I wonder when this trend will hit the UK. Its also understandable that you donot want to spend time in the kitchen when your busy and hot! 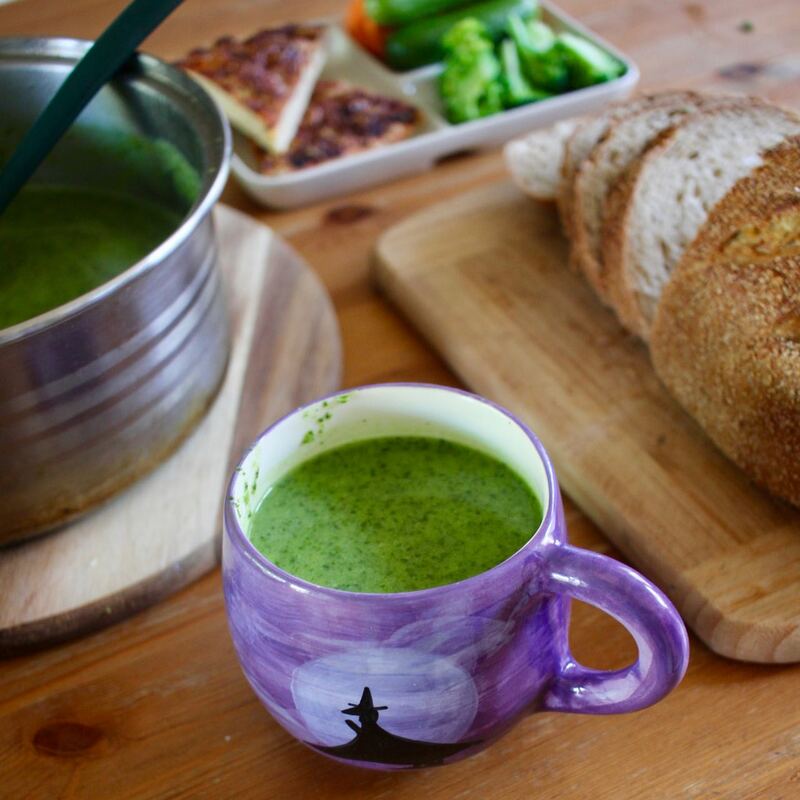 Thanks for sharing the kale and pea soup with #EatYourGreens, I am ashamed to say that I haven't made soup in a while, but I have been tucking into stew like dishes. 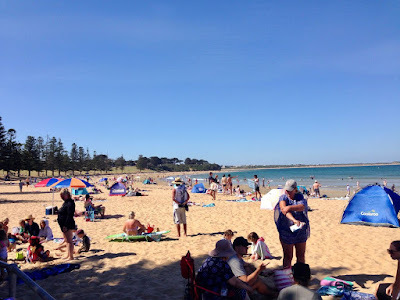 Re Australia Day - I am glad people in the world are becoming aware and confronting old narratives and giving people whose voices are seldom heard a platform or recognition. Wow whooping cough after a plane ride? That makes you think (and all the germs circulating in a plane cabin-eek!). And turmeric brains huh? That penguin is cool! I've never heard of grow-your-own.penguins, but would certainly want to have one. I can't imagine how it has been coping with the heat, so dishes with hummus sound perfect for that. Thank you for sharing this lovely green soup with Eat Your Greens. Thanks for sharing your holiday experiences- sounds as if you had som enjoyable times. It will be interesting to see if in future people do buy houses on the Internet. I can’t imagine buying that way myself, but I am not a digital native. 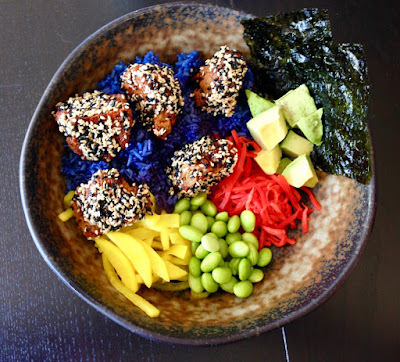 The blue rice really caught my eye - what made it blue? Is it normally like that or is it dyed? I wish I could go and see some outdoors theatre - or even just sit outdoors. It's still that horrible grey period of grim winter before spring kicks in. Until the weather turns, I'll enjoy your holidays and catch ups vicariously!